The 20 year old fan of Onesies and Drake, lover of cotton candy ice creams and a twitter buff – Justin Drew Biber touched the sky limits of fame and stardom at a tender age with 40 millions of fans following. He had already made a position for him in the field of acting, singing and dancing. He is also a song composer and writer. Bieber was born on March 1, 1994, in Ontario. His roots are English and Irish. His mother Pattie has raised him as a single mother, while he has two half siblings from his stepfather Jeremy. "I grew up in a really small town with not a lot of money, and I liked singing, but it was just something that was a hobby." "It's cool when fans spend so much time making things for me. It means a lot." "I make mistakes growing up. I'm not perfect; I'm not a robot." 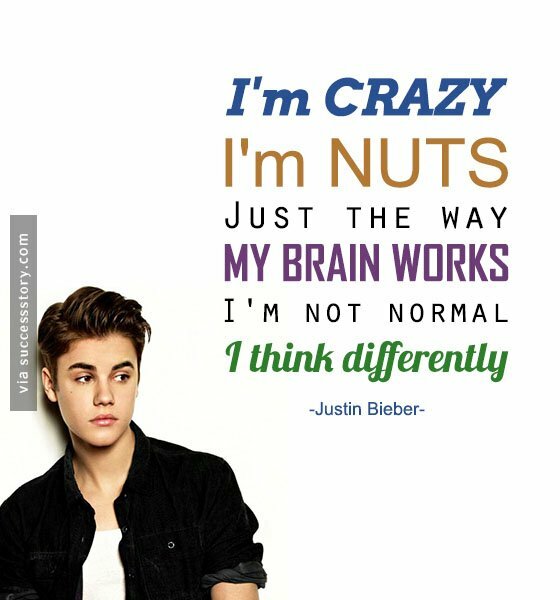 "I'm crazy, I'm nuts. Just the way my brain works. I'm not normal. I think differently." 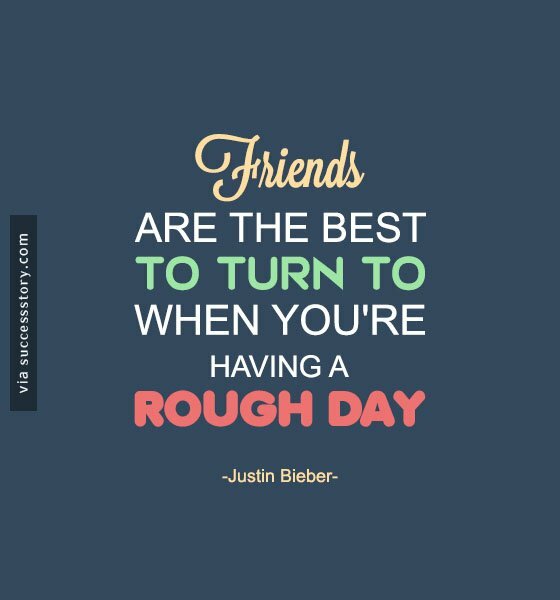 "Friends are the best to turn to when you're having a rough day." His fans are popularly known as Beliebers. He loves to respond to his fans on Twitter. In 2009, Bieber released his first debut EP, My World. His debut record has seven songs in the Billboard Hot 100 list, which is a record by itself! His full length studio albums are My world 2.0 and Believe. His video Baby as per the Youtube study is the only video with the maximum number of dislikes. Bieber has received many awards, including 2010 American Music Award, 2012 American Music Award , Best New Artist and Best Pop Vocal Album at the 53rd Grammy Awards. Forbes magazine 2012 named him as The Third Most Powerful Celebrity in the World. His 3D concert film and documentary Never Say Never grossed nearly 100 million dollars worldwide. 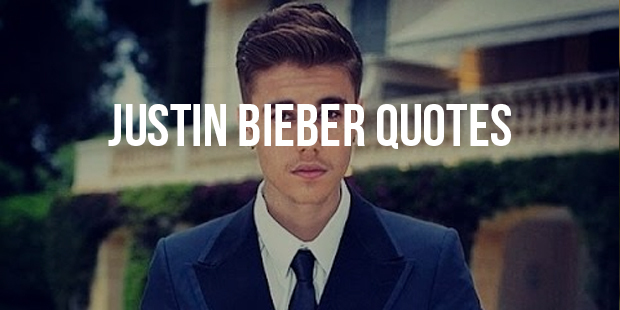 For someone who has started so early he said many Quotes for Inspiration , focus and determination helped Bieber do wonders. More to come in the forthcoming years, his fans have to wish for him to go a long way as the beliebers certainly believe in his talent!